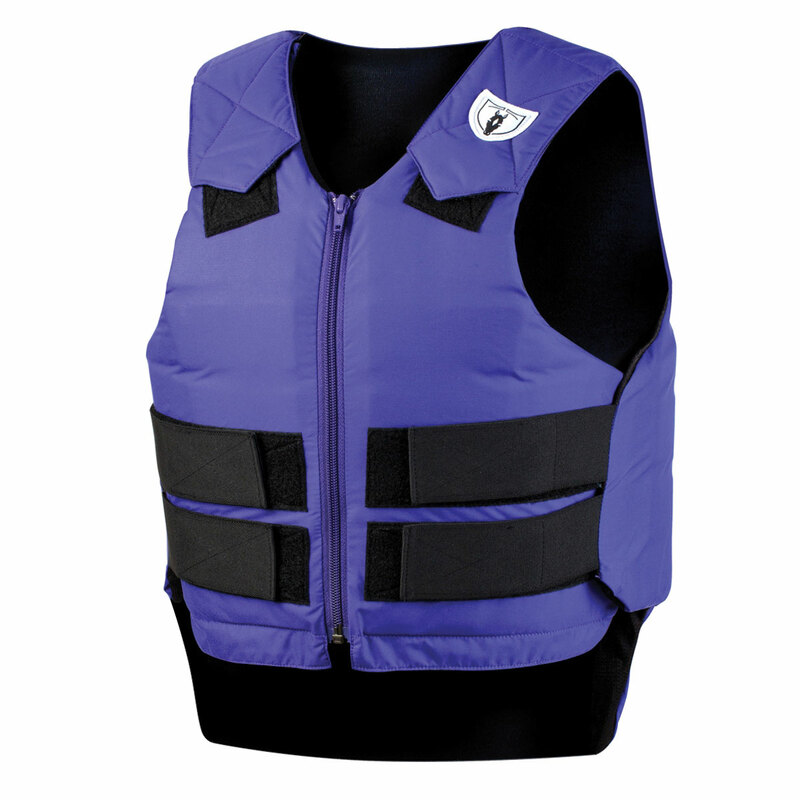 The Tipperary Ride-Lite Vest is a great choice for the beginner or recreational rider. The dual density padding system provides superior shock absorption and impact reduction. The short-backed style allows for a greater range of motion (although please note that the shorter back length does not provide tailbone coverage). A four-way twist molded channel system allows for better air flow and flexibility. 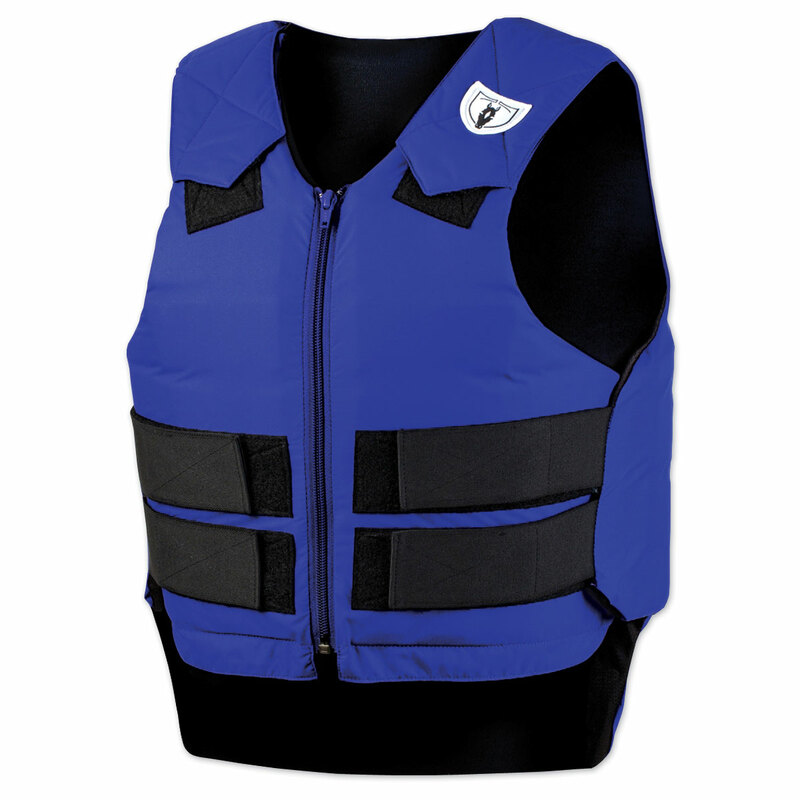 Tipperary Ride-Lite Vest - Youth is rated 4.5 out of 5 by 11. Rated 5 out of 5 by Mashgood from Lite and Cool! This is a great vest. I am 5'2' 120 lbs and I got the youth XL...It's a perfect fit. My adult small was just to big and bulky for my frame. 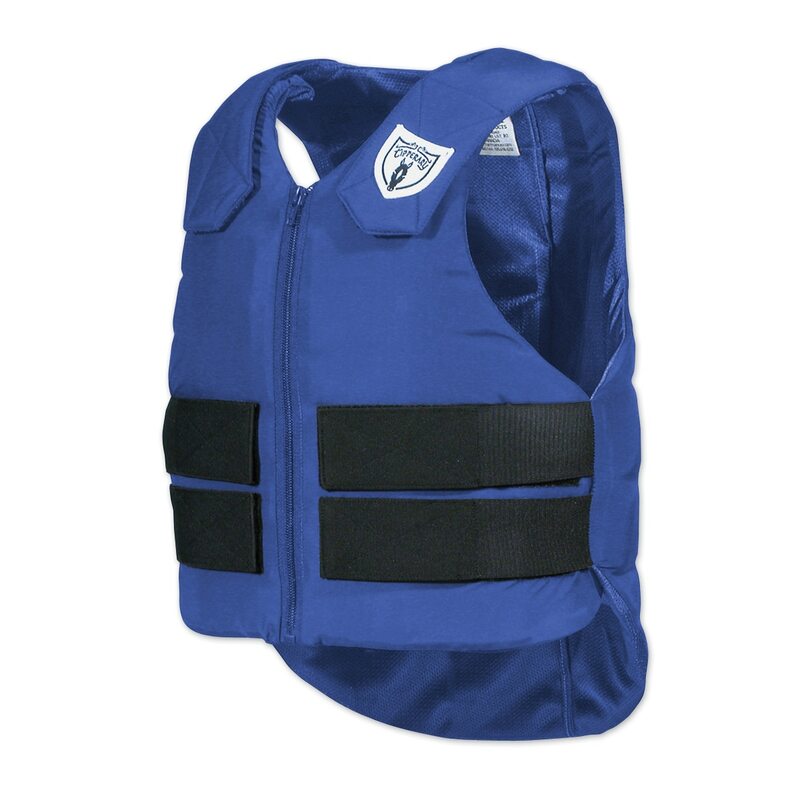 Rated 5 out of 5 by Nash37212 from Great purchase, fits wide range I purchased this vest with the intention of giving my 6-year-old more confidence after a fall. Not only does it fit him perfectly (he's right around 50th percentile for his age) with some room to expand, but when his 3-year-old brother asked to try it, I was able to adjust it to fit him, as well. I'm thrilled that they will both be able to use it. It has a nice amount of padding without being super bulky. 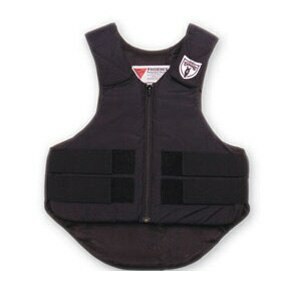 Rated 4 out of 5 by Driveandride from Good starter vest for kids Bought this for my nine year old. Easy enough for her to put on, zip herself, and then make all of her own adjustments (which mom checks before she rides). Only down side to our order was the fact that every other nine year o!d in the country must have wanted one in purple also because none were available for three more weeks. We needed this one right away so she had to make do with navy. Only design drawback is lack of extended tailbone protection but I don't see that as a critical issue at her level. Vest passed the dumping test on its very first outing when fat slow pony decided to jump up a x-country bank and out of the water at HIS discretion. He needed to give an extra hike to get hiney out of water which popped my very surprised daughter up on his neck. He landed all fours on the grass and plopped her on the ground in a classic slow mo scene. Very funny---one satisfied bad pony, one grinning kid, one mom shaking her head. Vest works just fine. Rated 5 out of 5 by SarahT from Love it! This vesy was everything I was hoping for and more. It is comfortable, light-weight and provides the added protection we wanted. If ever I forget to put it on my daughter reminds me, she loves it too. 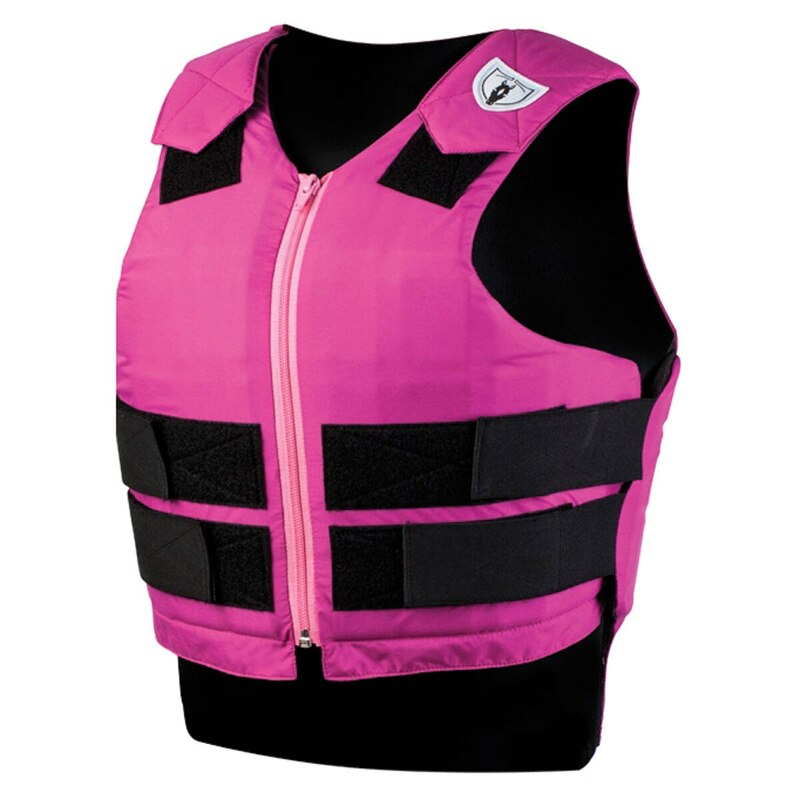 Rated 4 out of 5 by Sally_R from Comfort and safety combine in this affordable vest Lightweight, adjustable, easy to wear and comfortable. Terrific safety vest for youth or small adults. Rated 5 out of 5 by Krina from Very comfortable! I bought it a couple weeks ago and I have not gotten the chance to ride in it but it fits perfectly and is very comfortable! Rated 5 out of 5 by FlyinUnicorn707 from Great Vest I got this vest recently and I love it although I have a medium and it's still a bit large for me.